Advertising is all about getting a message across. In order to do this, you need to capture the attention of your target audience and then hold it for long enough for the message to be conveyed. There are many different ways to go about achieving this goal, from incredible creative work that simply has to be seen to marketing to a captive audience who cannot escape your message. Whatever option you plump for there will be pros and cons, but for the sake of this discussion we are going to look at some slightly alternative methods for getting that all-important message across. Normally when talking about traffic and advertising in the same sentence the expectation is that it is internet traffic. Not in this case however – in this instance we are talking about traffic on the road. When people are sitting in the rush hour traffic and going nowhere, it is a great opportunity to hit them with your message. You could look at a billboard as an option or, even better a variable message board. The latter might not allow for as much creativity, but they are far more dynamic, and the messages can be changed regularly. 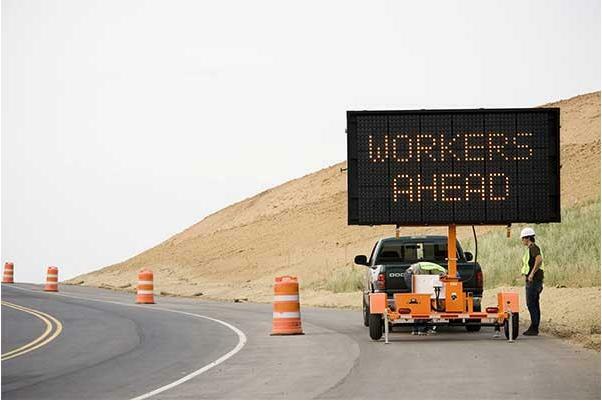 It’s a great way to get a message across and, if done right, to supply information about traffic and roadworks at the same time. Maybe it’s not the most glamorous place to advertise but the truth is that when men go to the urinal they tend to stare straight ahead. They certainly won’t be making any eye contact with the people standing next to them. Which means that an advert placed directly in front of them will automatically be read. If your message targets something about men’s health it is probably going to be even more effective. When a man stands with his bits in his hand and you are serving him a message about his tackle, how could he fail to take notice. Sometimes it is less about the message and more about how you grab a person’s attention. To this end you want to create movement or noise (or both), to get people looking at what you are doing. To do this use people to act as your billboards. Dancing men or ladies in bikinis. People dressed in outrageous clothing and performing the role of a mascot or caricature. These are all good ways of creating a buzz and making it easy for the public to both notice and interact with your brand. The higher something is in the sky, the easier it is to be seen by people. The idea of advertising blimps has been around for a long time and they are still used to this day. It’s a great way to reach a wide audience. Increasingly blimps are tethered which can be limiting, but this is the type of thing that can be overcome by a plane towing a banner. Whatever angle you chose, make sure that your message will be flown above a high traffic area – these type of service campaigns, tend to work well at sports events and concerts.